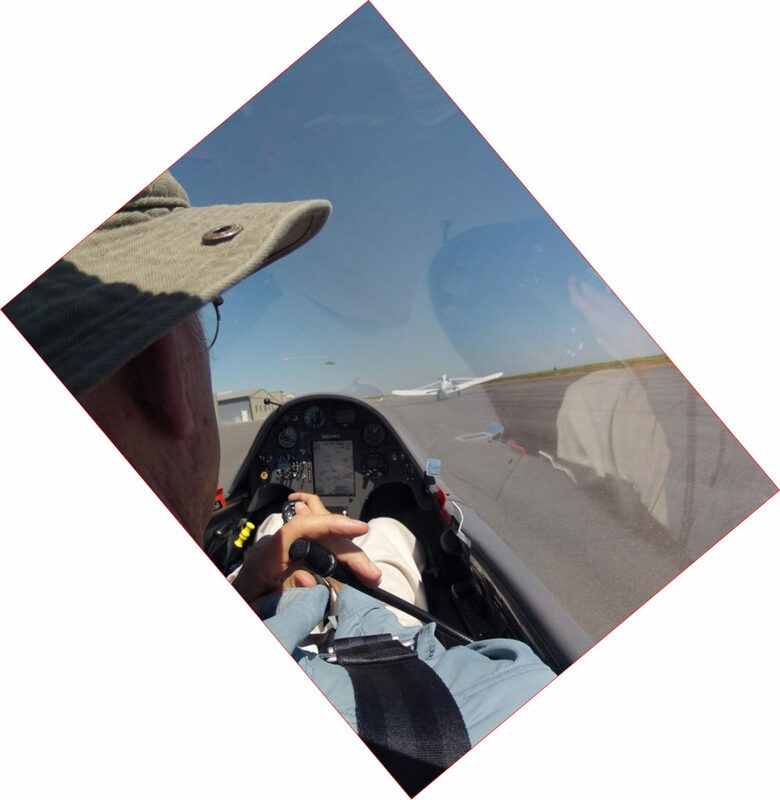 Before takeoff – Pre-flight in the shade! Glider assembly and working in the hot sun takes a major toll on your body. 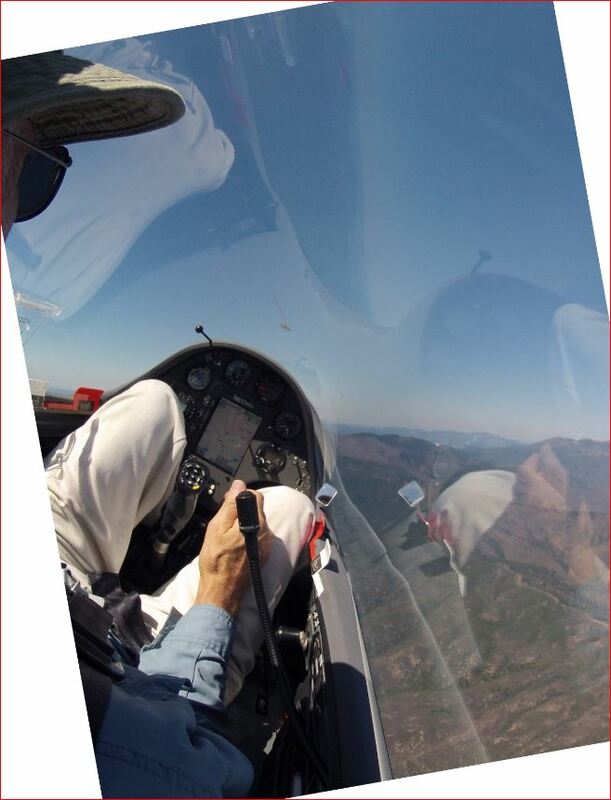 Gliding and Soaring is not for sissies or people who are not fit – that’s for sure. 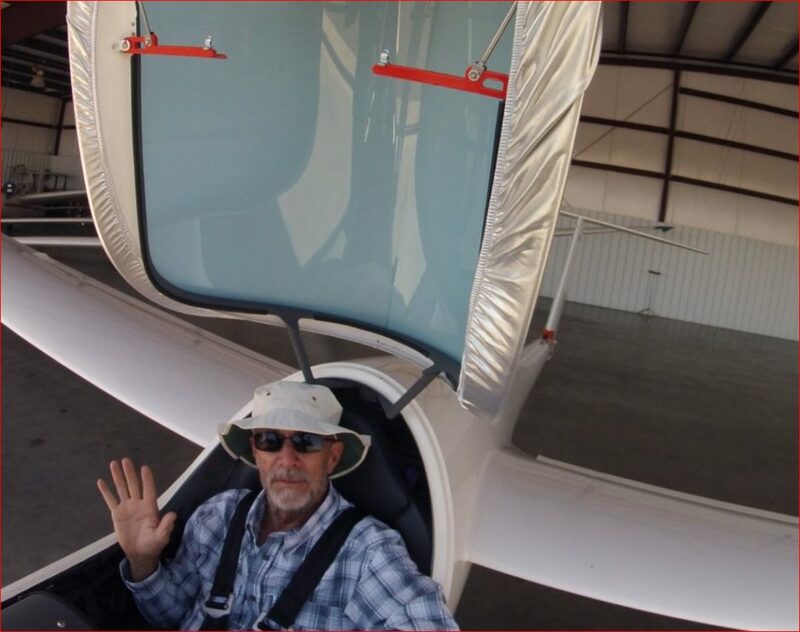 Lucky for those of us pilots who are now senior citizens, although we are in good physical condition, our energy stores are no longer subject to being depleted before we get into the air. 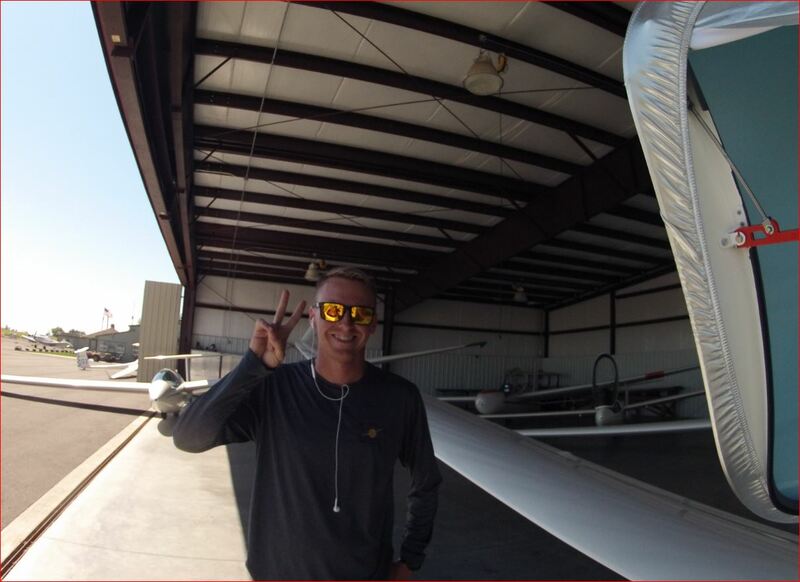 Thanks to Rex, Noelle and Family, we are able to fully enjoy flying in well maintained gliders here at Williams Soaring Center. 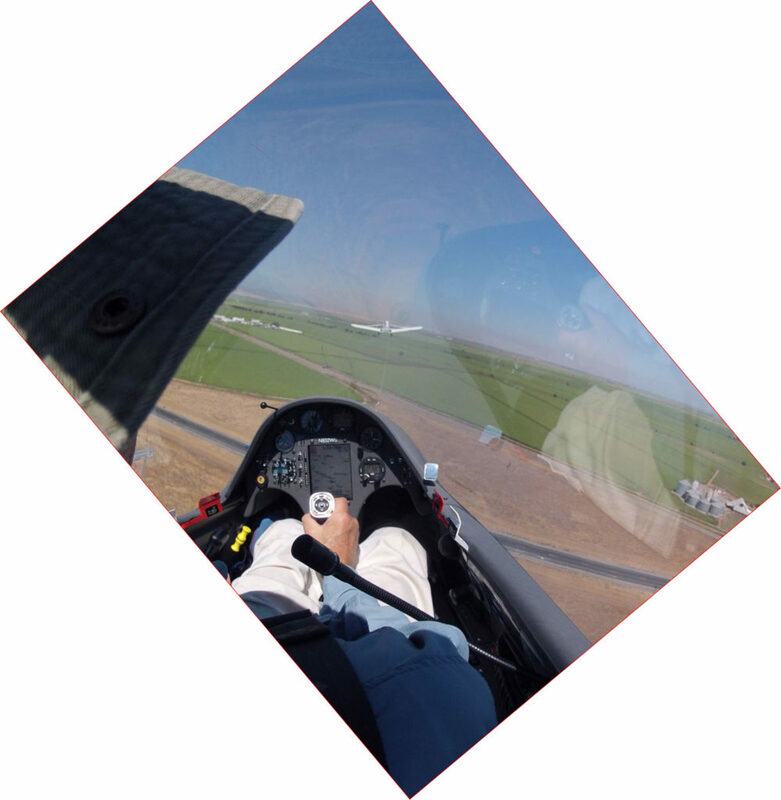 After the external preflight is completed we set up the camera in the ASG32. 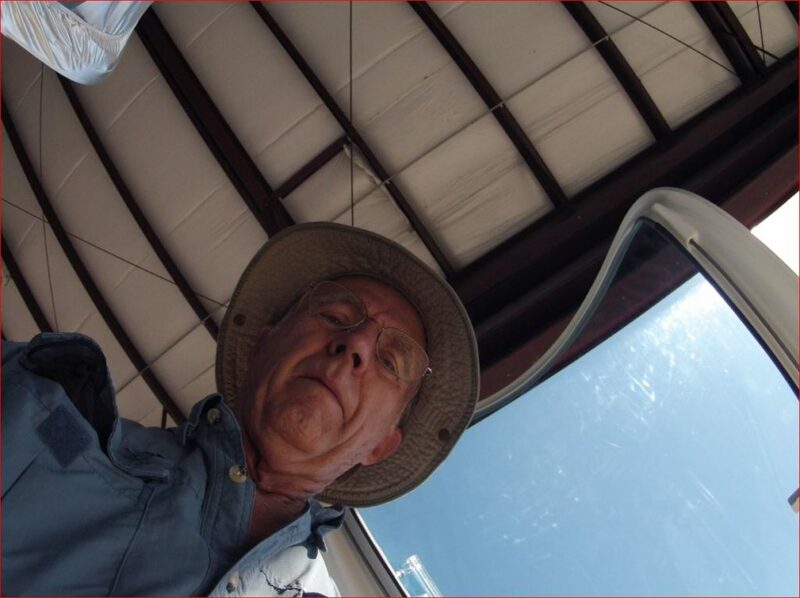 Just before I mount it on the canopy rail between the cockpits, I get an unexpected selfie. Ben and Nick are ready and willing to help us prep for takeoff, while we remain inside the hangar. I love the Executive Treatment. 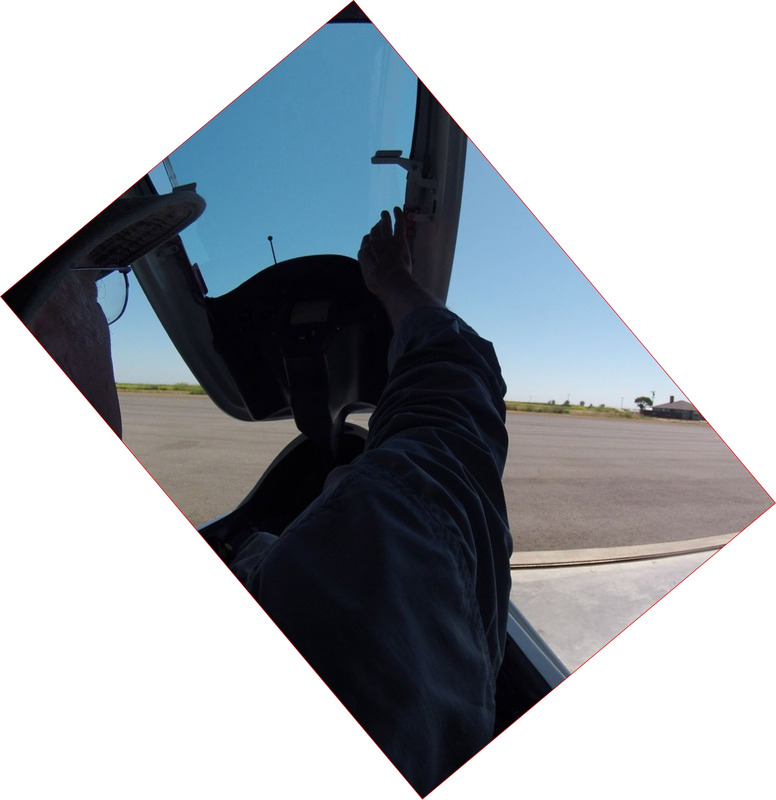 Thomas prepares his instruments and is completing his pre-takeoff checklist. 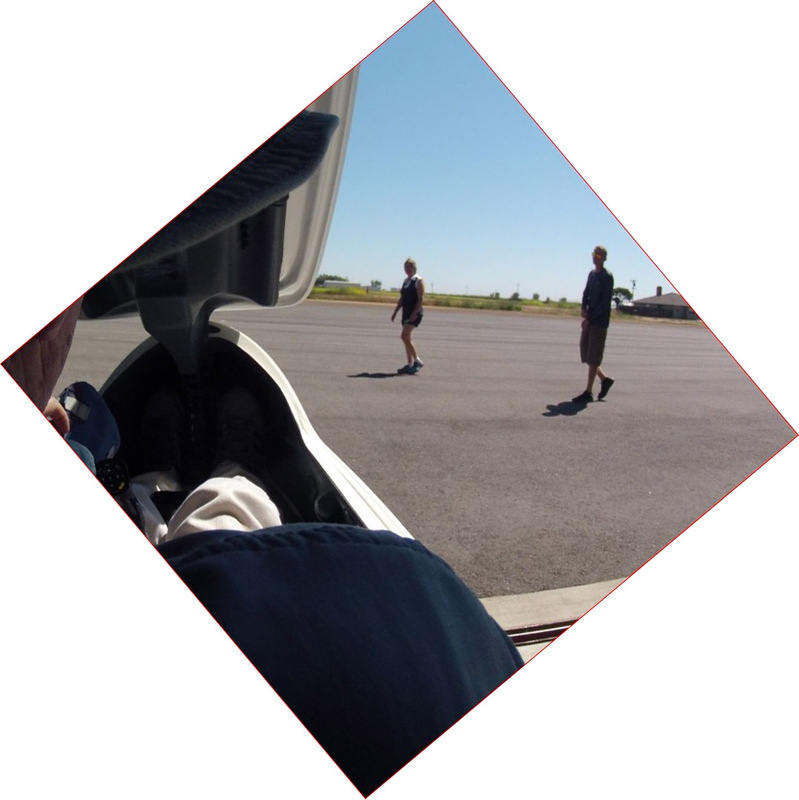 Ginny and Ben observe from outside the hangar as Tom and I conclude the cockpit preflights. I pull canopy closed as Nick and Ben start pushing us into the sunlight. 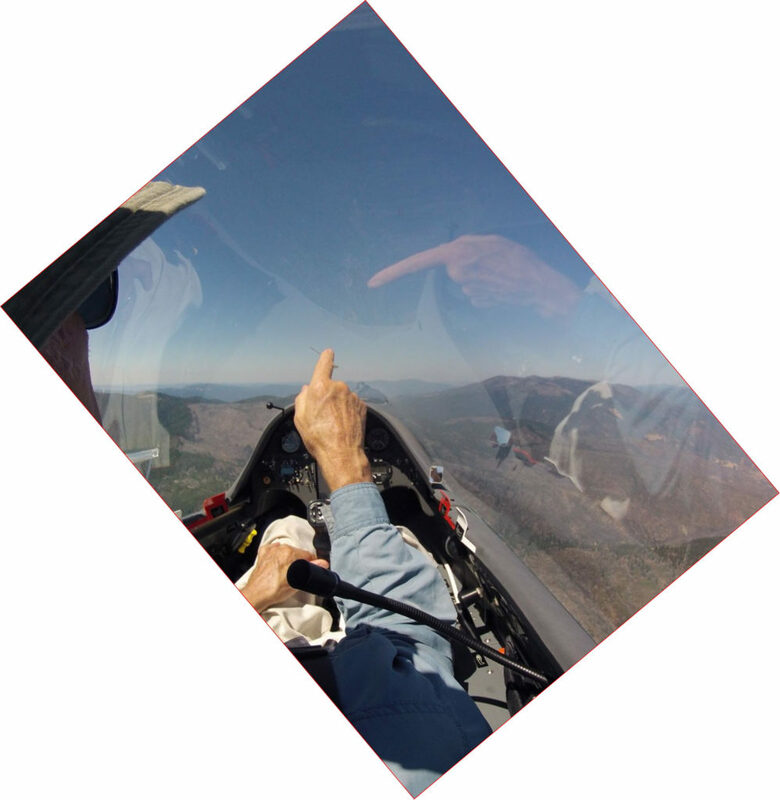 As the glider is rotated towards the tow plane, we can see the Sutter Buttes on the horizon to the east. A radio check with Tony is accomplished, as he pulls the rope tight. Over I-5 turning to the West, Tony pulls us upward into the cloudless sky. 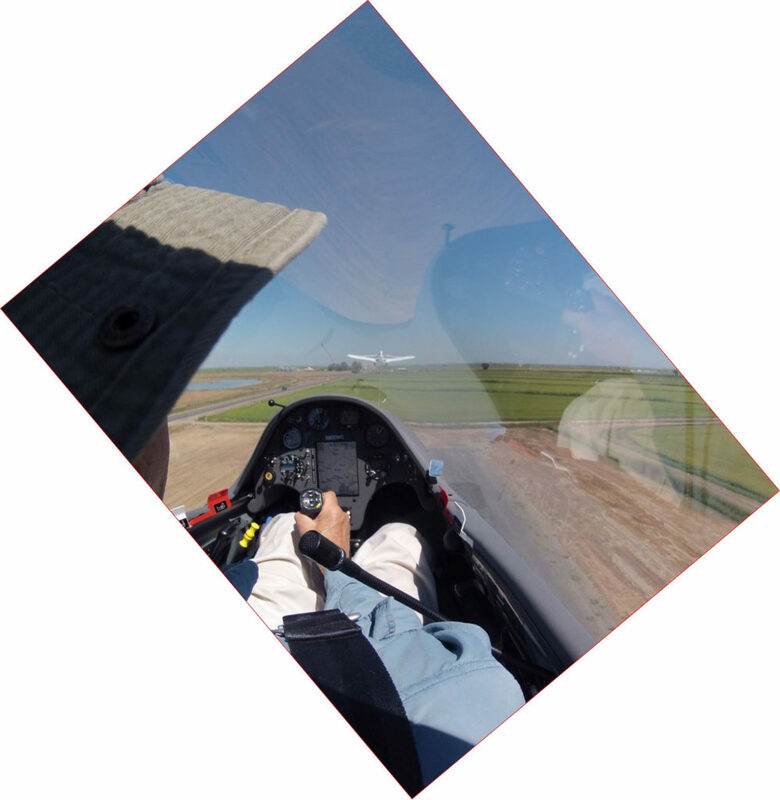 The camera is mounted between the front and rear cockpits. 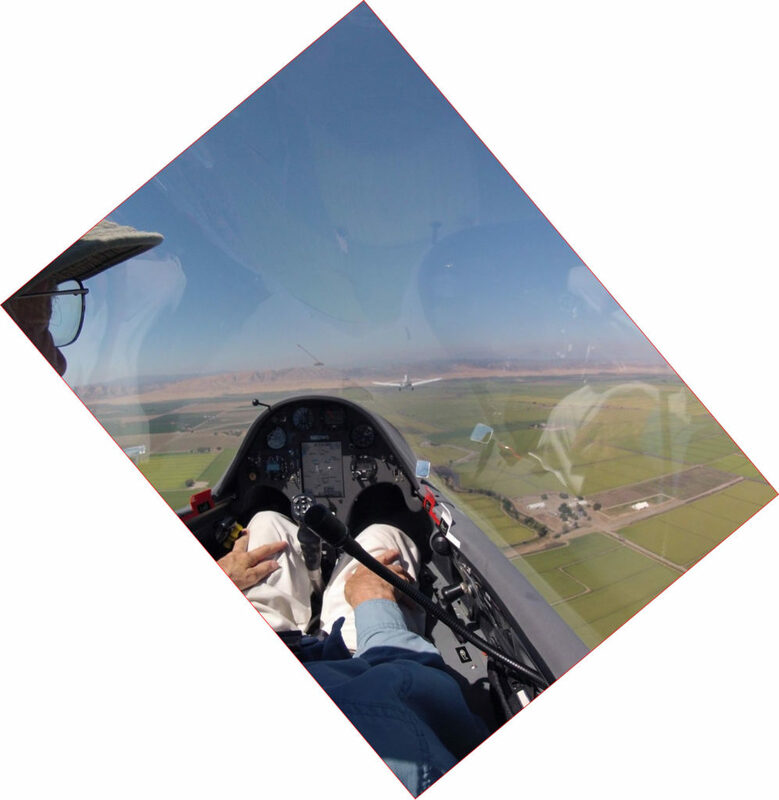 Passing 1,000 ft in the climb, the gear is up, flaps are set, and below our flight path on the rights side we can see the nearby runway at Cooks Ranch. The aircraft controls are turned over to Thomas. Past the first ridge – still smooth and clear (no clouds on the horizon), but I’m hopeful, even confident, that we’ll find abundant lift. 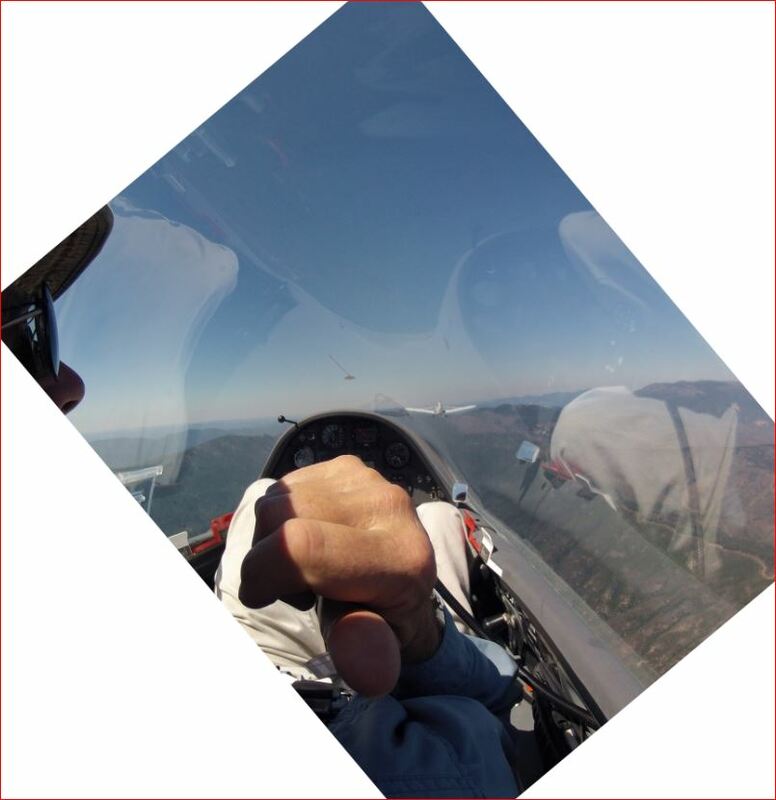 So I say to Tom, as I point behind us with my thumb, …. 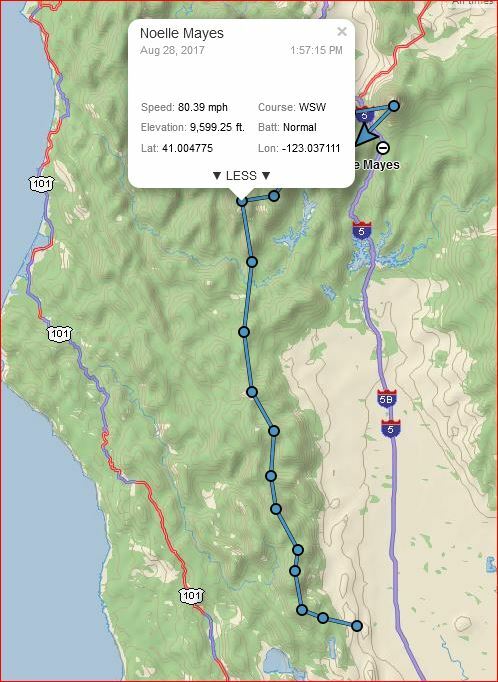 “Granted, we’re still five miles east of the Tree farm, and maybe we should go further west, but we’re already up to 6,200 ft..
We’re now off tow and Thomas has us in a right turn, heading back to that thermal. 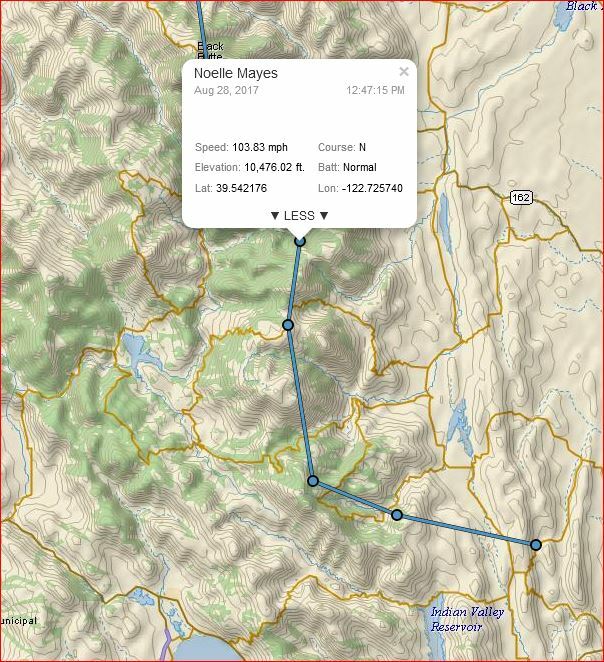 Tom has us climbing OK and and we are now up to 7,100 (at 12:17PM) but I’m sure we can do better if we head north. 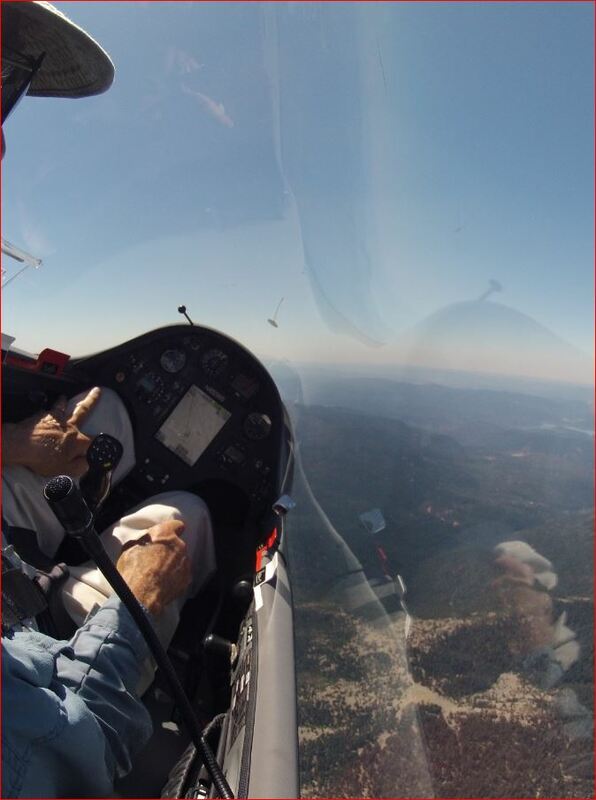 Tom acknowledges the transfer of the controls and then I comment…..
We regained the altitude that we lost coming over here to Letz Lake, but we decide to press on.. to see if we can find a good one. 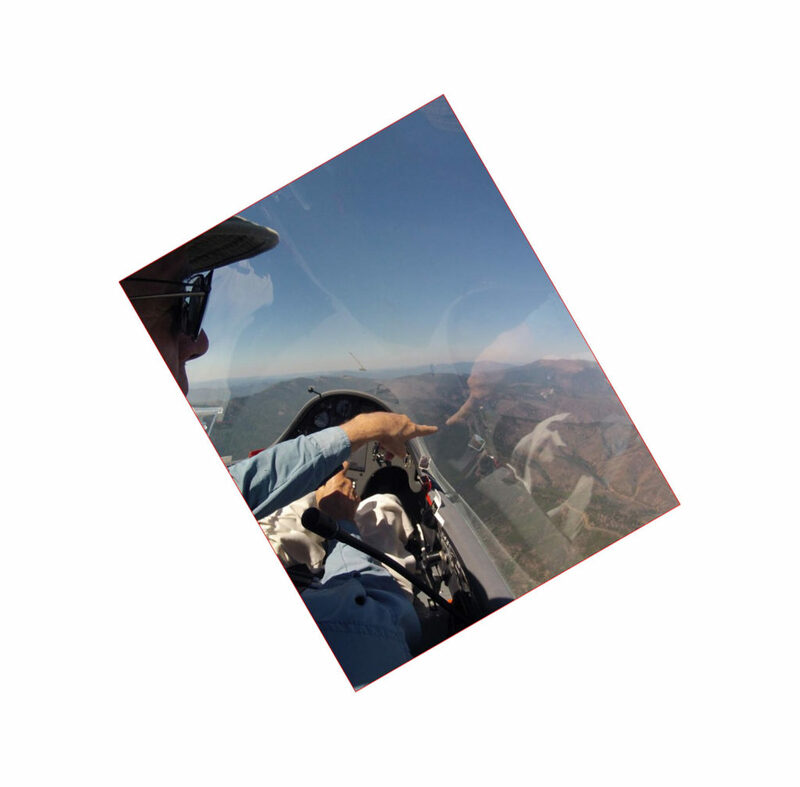 I consider this point in the flight to be the end of our first thermal climb. 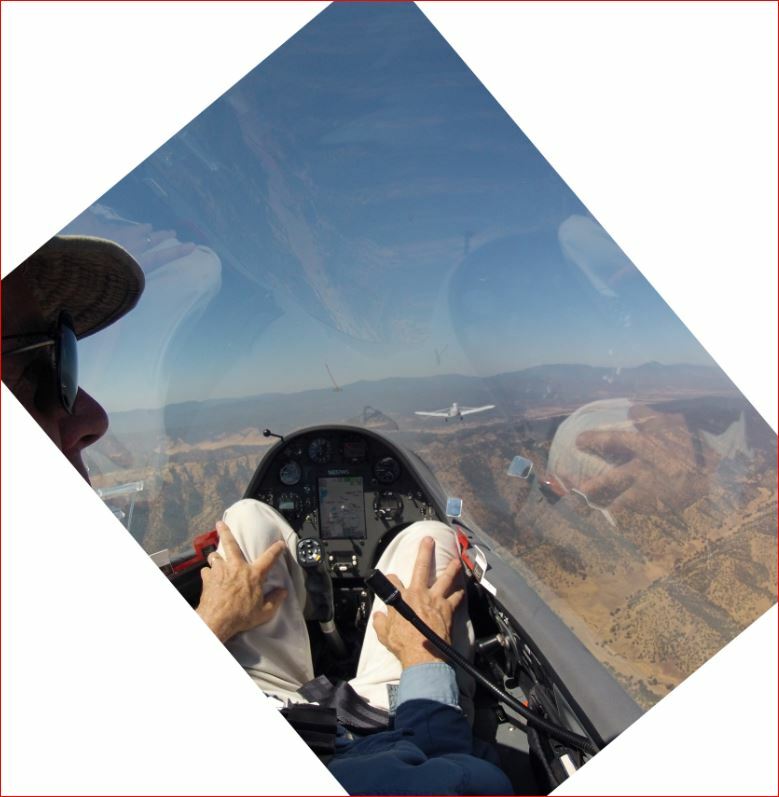 It evolved into a flight with only ten climbs and yet we flew for over six hours. As we proceed northward away from our first climb, Tom and I discuss the surface winds and the places we should look for lift. We get a climb near the Sheet Iron turnpoint (Thermal #2) and climb up to 10,500 ft. .
That’s enough to cruise northward. 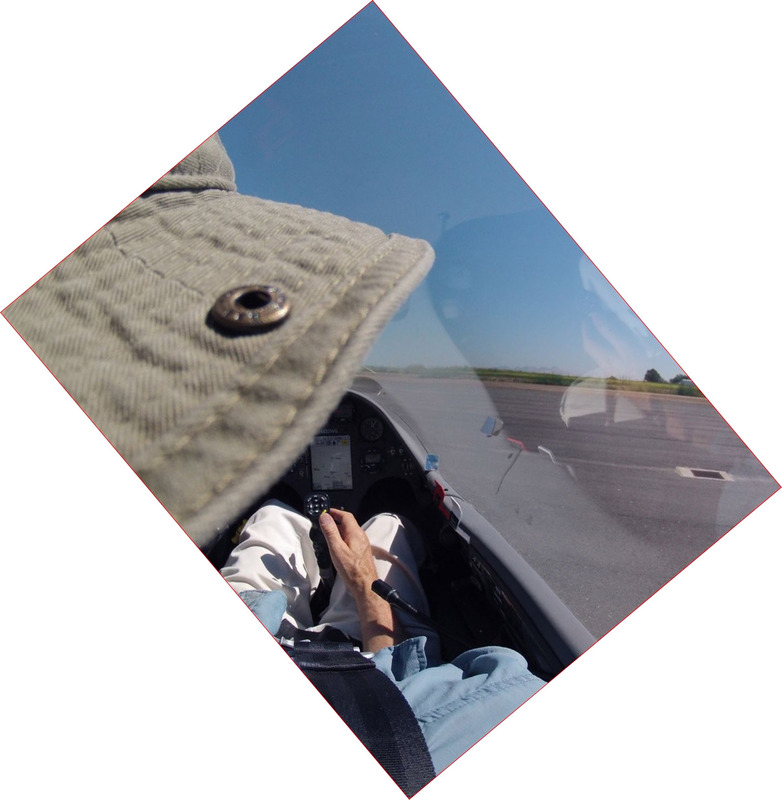 After leaving Sheet Iron at 10,500, we were cruising in mild lift, but didn’t find any thermals worth turning in. 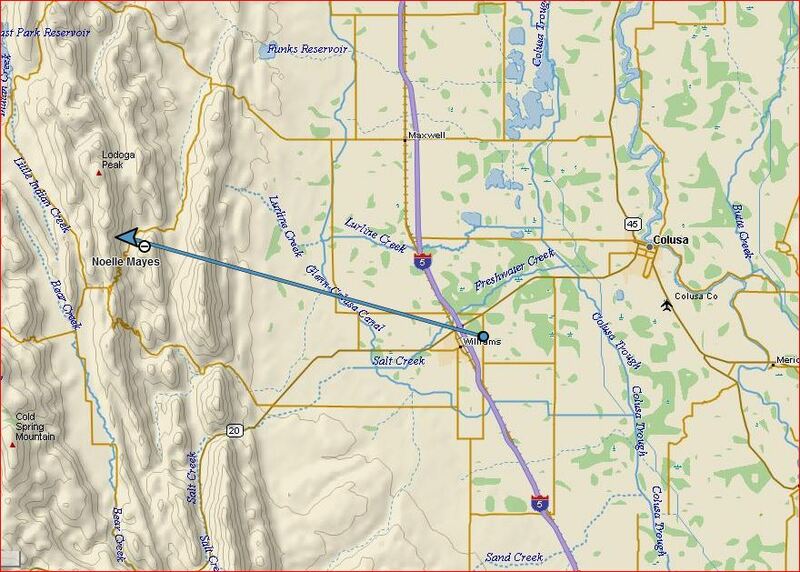 As we pass to the west of Alder… we make a 45 degree turn to the NW. 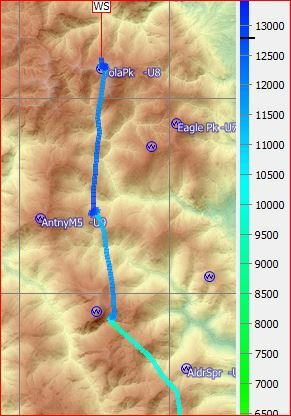 This graphic shows our position as we approach the Black Butte TP at 9,750 ft. In the canyon on the SE side of Black Butte Tom finds us Thermal #3 and it takes us up to 11,500 ft …..
We hit a Thermal #4 near Anthony Peak and then a wispy cloud over Yolla Peak marked thermal #5, which took us up to almost 13,000 ft. I suggested to Tom that we might as well cruise north and drift to a lower altitude. We would benefit from an oxygen refresher as we descend. 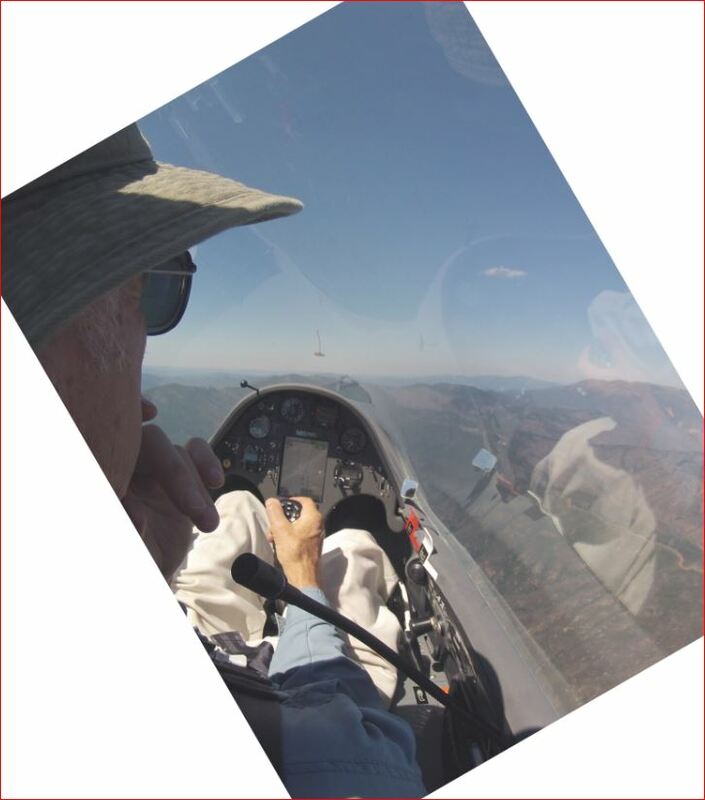 As it happened, we simply cruised along for almost 40 miles, crossing near T-15 and then near Hay Peak, having a bite of lunch, taking in the sights of Hayfork, recalling reports by Dave, and recalling Jim Smith’s report on the ground retrieve a month or so ago. 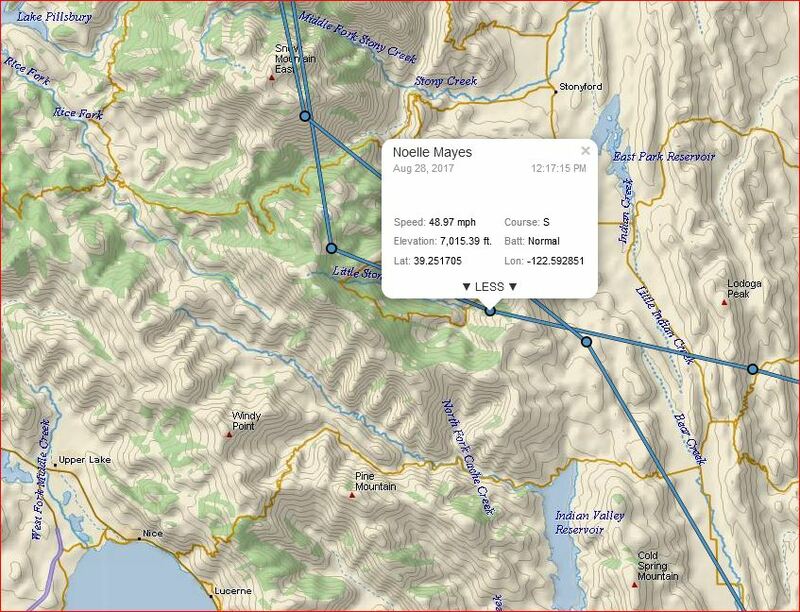 Further north we talked about the runway slope at Weaverville and finally arrived over the Trinity Alps TP at 9,500 ft.
That was a nice cruise from Thermal #5 at Yolla Peak to Thermal #6 here at the Trinity Alps turnpoint. So much for flying this far, but it’s early. Although we have been in the air for two hours, the time now is only 1:57. There should be lift above these ridges. I suggest we snap some photos, enjoy the views and then head for Mt Shasta, with a plan to head for home no later than 3 PM. although he does strongly suggest that we gain some altitude before proceeding further into this inhospitable wilderness. I agree, and onward we go. Change pages to the next Chapter to continue. The photos in the next chapter are really awesome! Even have a video coming up.